TMF prizes itself in supporting innovative conservation projects which could ultimately catalyse large scale advances in conservation operations. The Vergenoegd Water Bird Habitat and Water Quality Project leverages landowner interest in water bird conservation through habitat rehabilitation, in order to achieve improvements in water quality and hydrological functioning in agricultural landscapes in the Western Cape. This innovative approach includes building floating islands that are introduced to and used to rehabilitate existing water bodies (eg. irrigation dams) on private properties. One of the aims of the projects includes socio-economic upliftment through the creation of entrepreneurial income-generating opportunities in rural farming communities. 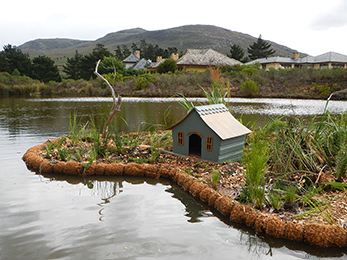 This project was piloted on Vergenoegd Estate (known for its use of Indian Runner ducks to control the pests in their vineyards) and is a collaborative effort between BirdLife SA, NCC Environmental Services, CapeNature, The Department of Agriculture’s LandCare Programme and private landowners. 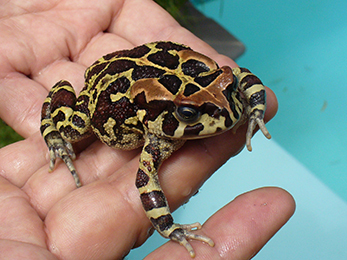 In many of the Cape suburbs, in which the Western Leopard Toad lives and breeds, crossing the road can be life-threatening. With the ever-increasing urbanisation along the Cape coastline, breeding ponds are now surrounded by roads, and the gorgeous leopard toads use these roads to walk to the ponds. Over the years hundreds of toads have been squashed by unobservant motorists on winter nights. In 2014 Toad NUTS (Noordhoek’s Unpaid Toad Savers) partnered with Table Mountain Fund to erect temporary toad barriers alongside two of the busiest roads in Noordhoek – Noordhoek Main Rd and Silvermine Rd, as well as one road in Tokai. The goal was to temporarily delay toads from crossing the busy roads during rush hour and to wait until a volunteer carries the toad over the road to the pond. The result has been an almost zero roadkill rate on these sections of road. The next stage of this project dubbed “ROMP: Road Mitigation Project” is to experiment with existing storm water culverts to see if toads will cross UNDER roads if directed into the drains. All results will be carefully monitored. Herbanisation aims to green streetscapes in economically marginalised areas while contributing to the livelihoods and cultural practices of local Rasta and Khoi herbalists and reconnecting community members with medicinal plants and indigenous knowledge. Originating in Seawinds (an area of high unemployment and many social ills, such as gangsterism, drug abuse and violence) Herbanisation was born through a collaborative effort involving the Sustainable Livelihoods Foundation and Neville van Schalkwyk, a Rasta bush doctor and community elder. 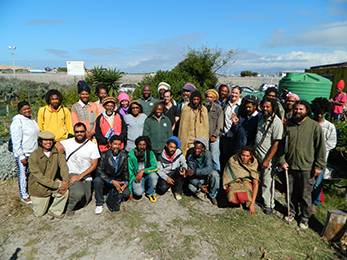 Since inception of the pilot project in 2012, consisting of an open-access street garden of 250 medicinal plants (and with subsequent funding from the Table Mountain Fund) the project has grown to include approximately 4,500 plants in three street gardens, and hosted ground-breaking engagement between Rasta bush doctors and conservation stakeholders. Furthermore, the project has released a range of useful guidelines for supporting the development of conservation, cultural and economically viable landscape rehabilitation within the fynbos biome.